Whether it's root? 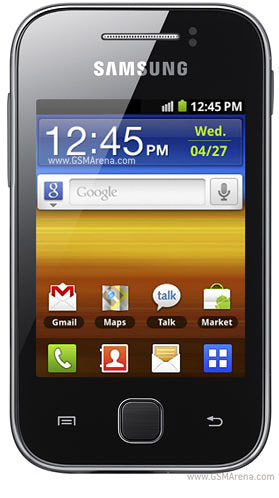 In short root meaning means we can access the file system (root) of the Android OS being used in Samsung S5360 Galaxy Y. With roots that we can better optimize the performance of Samsung Galaxy Y, convert file system on the Samsung S5360 Galaxy Y from RFS to EXT4 until we can delete / remove or uninstall an application default Samsung S5360 Galaxy Y is not required. How do you rooting Y Samsung S5360 Galaxy. Here is a tutorial How To Root Samsung S5360 Galaxy Y. Prior to the root, make sure you have activated USB Debugging features in Samsung S5360 Galaxy Y, how to go to Settings - Applications - Development - the USB Debugging. After that please you Download Applications Galaxy Y Root Samsung S5360. The download is complete, copy the ZIP file to the SD Card in Samsung S5360 Galaxy Y using a USB cable. The next pull of the Samsung S5360 Laptop Galaxy Y, then turn off by pressing the power button. The following step is to go into Recovery Mode, how to simultaneously press the Volume Up Button + Center (Home) and the Power button, so that later you will go into Recovery Mode. While in recovery mode, you simply select the "Install Update From SD Card" wait until the root process is complete. After the rooting process is complete, you can restart the Samsung S5360 Galaxy Y.
Jreng, Y Galaxy S5360 Samsung has been successful in the root and you can install a variety of interesting applications that can only be run if you are already in the root of Android, such as Cheat Engine for Android applications such as GameCIH2!